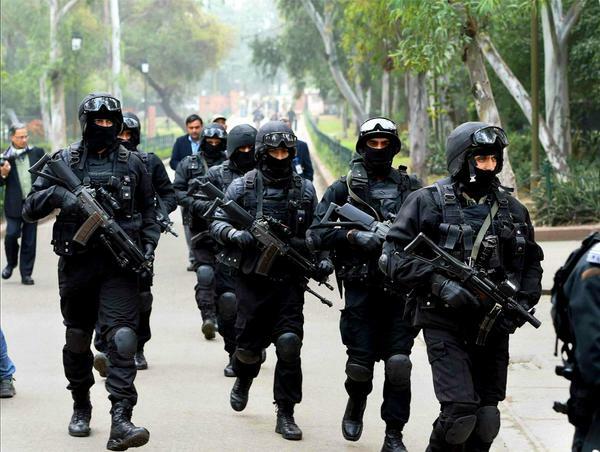 The National Security Guard (NSG) will conduct the 16th International Seminar on “Counter IED Strategy” on 10th & 11th February, 2016, at NSG Training Centre, Manesar, Gurgaon. The theme for the seminar is “National Counter IED Strategy”. The seminar provides a platform to the national and international experts of police and armed forces/law enforcement/ security/ intelligence/ forensic agencies and other allied organizations for exchange of expertise, ideas and experiences. This year, besides delegates from leading security agencies of India, experts from the US, Israel, France, Germany, Spain, Australia, Canada, Russia, Japan, Singapore, Philippines and Vietnam will also be attending the seminar. The seminar will be conducted in two parts. Day one of the seminar will be held at the Headquarters of the National Bomb Data Centre (NBDC) located at NSG Campus, Manesar and delegates will be witnessing a demonstration of Post Blast Operations & Analysis, case studies & analysis of counter-terrorism strategy besides a visit to the NBDC. Day two of the seminar will be held at Manekshaw Auditorium, Delhi Cantt., wherein Shri RS Mooshahary, ex-Governor, Meghalaya and ex-DG, NSG and BSF will be the Chief Guest who will deliver the key note address after welcome address by the Director General, NSG, Shri RC Tayal. The Chief Guest will also unveil ‘Bomb Shell’ Magazine 2016 which contains details of various IED explosions that occurred in various parts of the world in the year 2015 besides articles by several experts. It is pertinent to mention that NBDC has been the pioneer in collection, collation and analysis of various IED incidents since it came into being in 1988 which in turn helps in discerning the modus operandi of different terrorist organizations which help in formulating strategies to effectively counter the activities of such groups. The Union Human Resource Development Minister, Smt. Smriti Zubin Irani, chaired a meeting of State Education Minister and officials of State Governments on Teacher Education in New Delhi today.